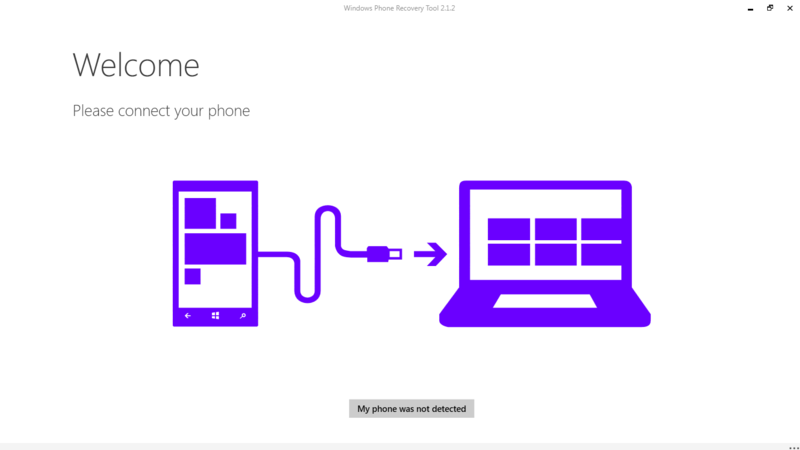 Download and install the latest version of Windows Phone Recovery Tool to your PC. Launch the recovery tool and connect your phone with USB cable. It detects your phone model and displays your phone. Click on your phone and wait for few seconds, then you will see the information that you have the latest available software version. To continue, Click Reinstall Software. Next, the recovery tool warns you to backup all the data before continuing, backup the data and apps which you want. Click Continue. Now, the recovery tool downloads the image from Microsoft server’s and the process will take some time depending on your internet speed. After process completes, it will automatically install the downloaded version on your mobile. You will receive a message saying “Operation Successfully Completed”. The phone will reboot automatically and you will have to go through the Out-Of-Box Experience. Now, you will have the latest version of Windows Phone 8.1 on your device. Thanks for finally writing about >Roll back to Windows Phone 8.1 from Windows 10 Mobile preview – Stuff9 <Loved it!